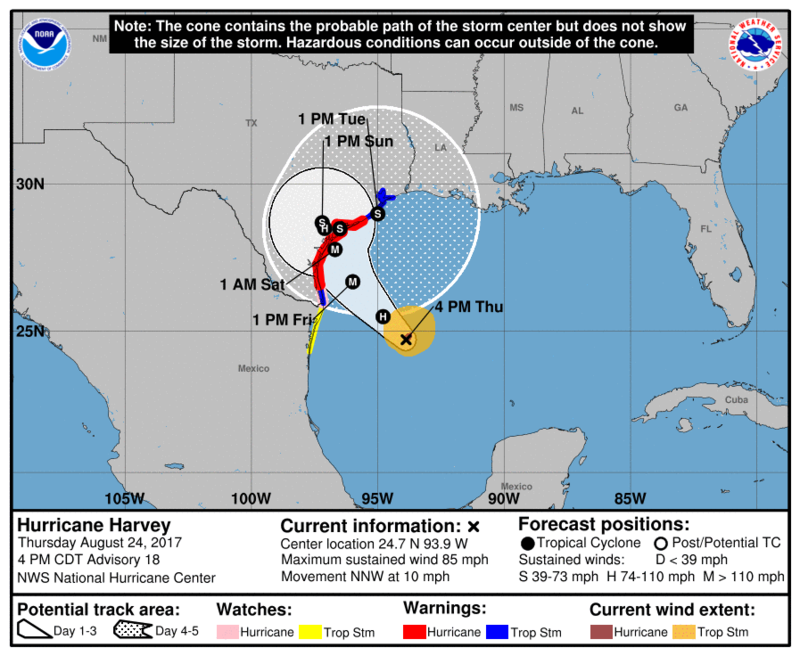 Harvey became more organized Thursday evening. Harvey will linger along the coast of Texas for several days. 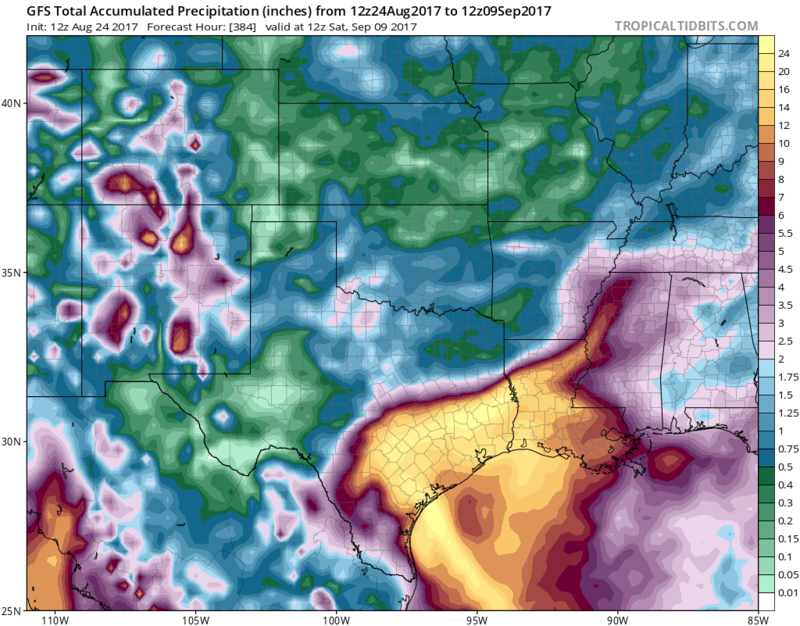 Heavy rainfall is forecast for much of south Texas. 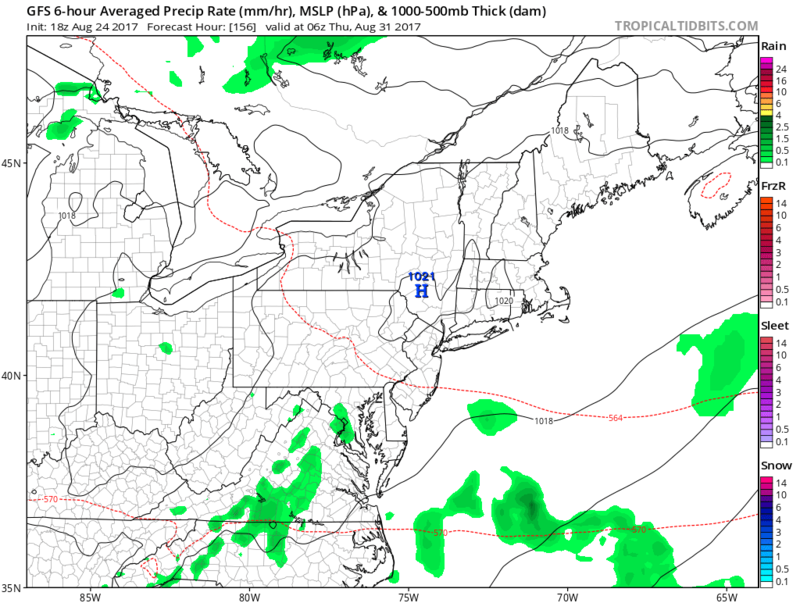 High pressure keeps New England dry into the middle of next week.